Rechargeable hearing aids make it more convenient than ever to enjoy great hearing. Simply place them in the charger overnight and enjoy a full day of better hearing. No more small batteries to fuss with. 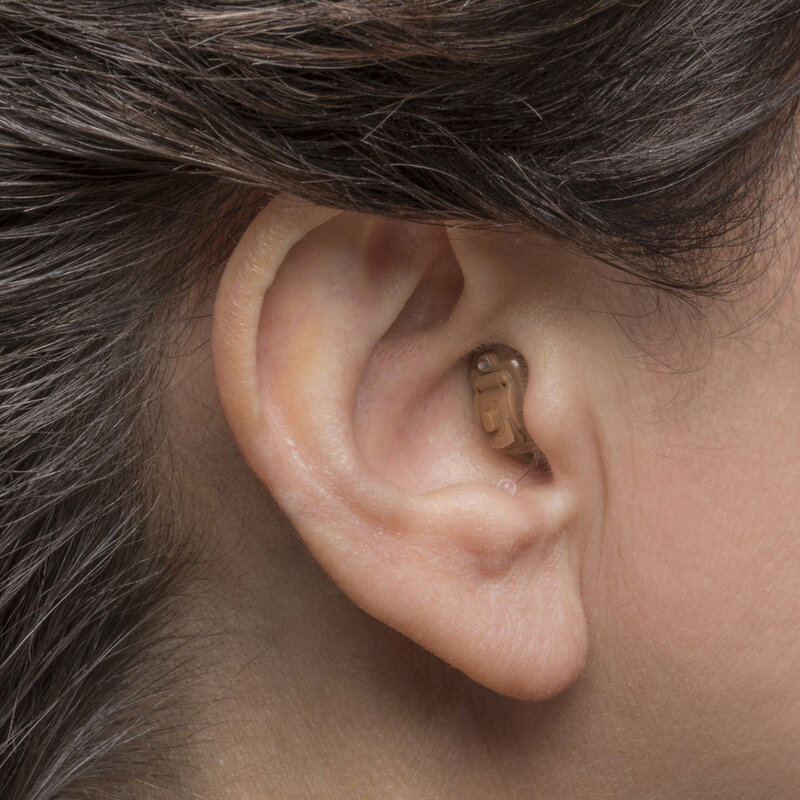 Today's hearing aids are nothing short of technological marvels. From the very smallest (pictured here) to the most powerful, they all contain features that make it easier to hear the words and sounds that matter most. New titanium hearing aids add extra durability combined with a sleek, compact design for a nearly invisible-in-the-canal fit. For the tech savvy, optional hearing aid apps give you more control than ever before with features to adjust volume, programs, request remote support from our providers to even locating lost hearing aids via Bluetooth. Enjoy conversations with loved ones near or far! New simple-to-use Bluetooth technology allows phone calls to be heard directly through your hearing aids. At your appointment, your hearing care provider will go over which style of hearing instrument is best for you. Not all styles and technologies are appropriate for all hearing losses. Your ear anatomy can even shape our decision for which style is best for you. All styles are the same price so that we can appropriately choose the best option for you, no matter your budget. This ultra small receiver-in-the-canal (RIC) provides an open fit (meaning nothing plugs your ear canal) and natural sound via a discreet slim wire that sends sound into your ear. 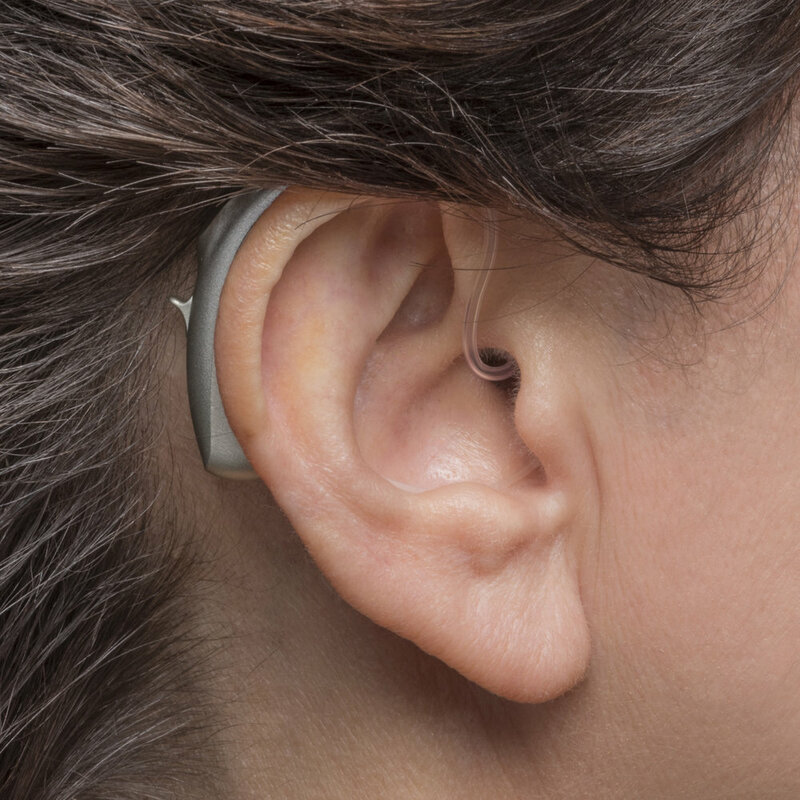 This hearing aid is bluetooth compatible, rechargeable, and fits most hearing losses. In-the-ear (ITE) hearing aids fit securely in your outer ear and provide sufficient space for extra features such as volume controls or handles for easy removal. This size also allows for the largest (and longest lasting) battery size. Fits most hearing losses. Completely in the canal (CIC) fits deep inside your ear canal, making it almost invisible. Fits mild to severe hearing losses and is not bluetooth compatible. In-the-canal (ITC) fits almost entirely inside your ear canal. The slight size increase allows the ITC to hold a larger (longer lasting) battery and fits other options not available in the CIC. Fits mild to severe hearing losses. 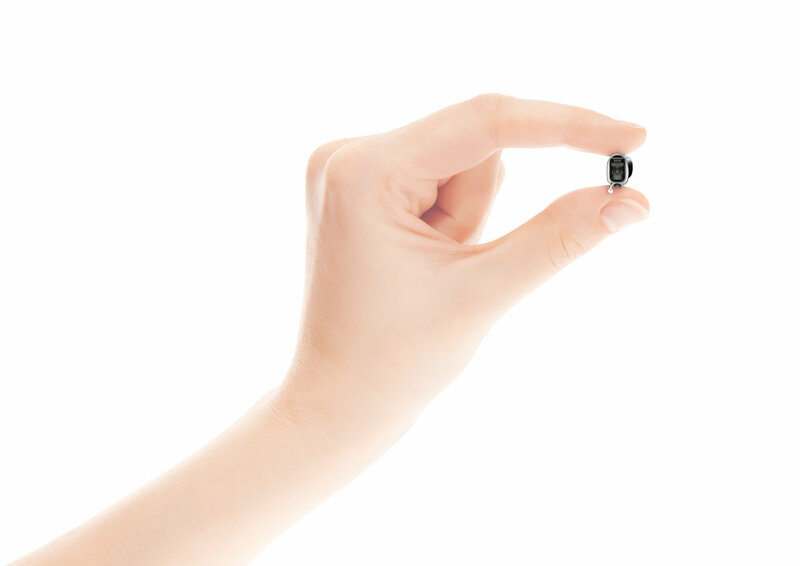 Invisible-in-the-canal (IIC) is the smallest of the in-the-ear hearing aids. It is so small that it is hidden from sight. 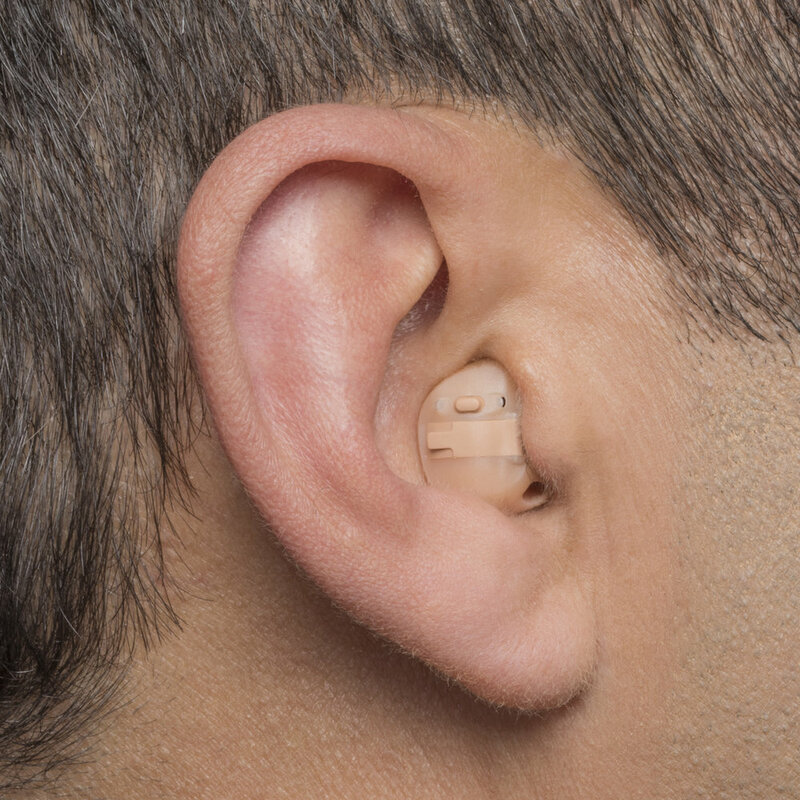 Depending on the size of the ear, it can fit mild to moderately severe hearing losses. Behind-the-ear (BTE) sits comfortably behind your ear, with sounds passing through a tube to an ear mold that fits in your outer ear. Fits all hearing losses and provides the most powerful hearing aid option. Bluetooth connectivitiy is available in all BTEs. doctorates in audiology. minors in bluetooth technology. We offer high-quality hearing aid batteries in variety of sizes for the convenience of our patients. Ask us about our Discount Battery Club! Say goodbye to cumbersome TV headphones and get connected! 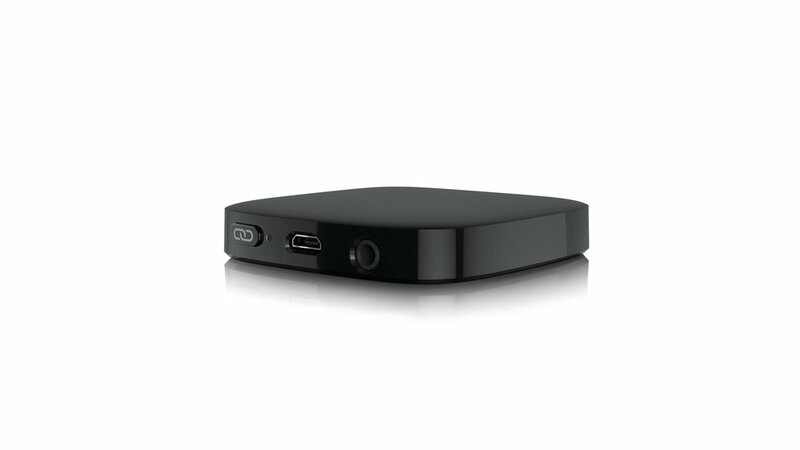 Our hearing aids feature easy-to-use TV streaming technology allowing you to stream your TV directly into your hearing aids with just the push of a button.